Representing a landmark collaboration between AWC and the NSW National Parks and Wildlife Service, the Pilliga project area protects a vital piece of habitat for Australia’s threatened species. Already a refuge for a suite of wildlife that is declining elsewhere, the Pilliga Service Site will also host the reintroductions of at least 6 mammals that have been extinct in the area for over a century. AWC’s project in the Pilliga is managed under an historic partnership agreement between the NSW National Parks and Wildlife Service and AWC. The project area includes the Gilgai section of the Pilliga National Park, and the Pilliga State Conservation Area. The agreement provides a new model for collaboration between the public sector and the private (non-profit) sector. As part of the NSW Government’s Saving Our Species program, a feature of the partnership is the construction of a large predator-free area, and the reintroduction of several regionally extinct mammals. The Pilliga project area covers about 35,632 hectares at the northern, more productive section of the vast Pilliga forests. The forests are part of the traditional area of the Gamilaraay (also known as Gamilaroi or Gomeroi) people, and stretch across the flat, sandy plains and low hills between the Warrumbungle Mountains, near Coonabarabran, and Narrabri. 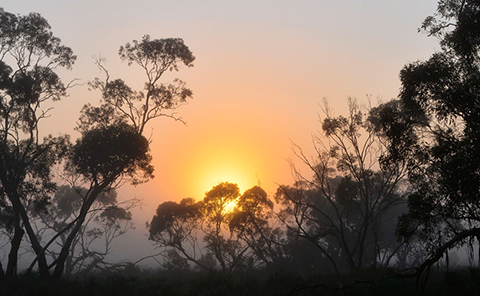 Extending over half a million hectares, the Pilliga forests are the largest consolidated block of forest and woodlands in western New South Wales, giving them extraordinary conservation value. The Pilliga region, on the northwest slopes and plains of New South Wales, experiences a semi-arid climate. All of the creeks are ephemeral dry sand-beds flowing only during significant rain events. The forests have developed on relatively infertile soils, and are dominated by White Cypress Pine as well as a number of Eucalypt species including the Narrow-leaved Ironbark, several species of Red Gums, Rough-barked Apple, Pilliga Box and Poplar Box, Bull Oak and Belah. Less commonly occurring tree species include Black Cypress Pine, Brown Bloodwood and Broad-leaved Ironbark. Other areas of the Pilliga contain a distinctive Broombush vegetation type. Habitat quality for many species is determined by a gradient in fertility from higher elevations in the south-east to the more fertile ‘outwash zone’ in the north-west. 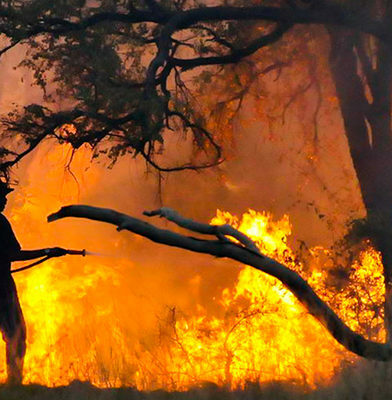 Fire regimes in the Pilliga forests have changed since Aboriginal management, and most of the forests in the Pilliga (including within the Pilliga project area) have been selectively logged for over a century. The combination of logging and changed fire regimes has led to significant changes in forest composition and structure, in particular a thickening of White Cypress Pine and Bull Oak. The Pilliga project area supports species and ecosystems that are typical of the western slopes and plains of NSW and, given its size, it represents a significant reservoir for these species. It sustains many native plants and animals which have disappeared from the surrounding landscape, including a number of species associated with more mesic (wetter) eastern forests. The area is currently home to many threatened animals. It forms part of a stronghold for threatened woodland birds including the Glossy Black Cockatoo, Grey-crowned Babbler, Brown Treecreeper, Speckled Warbler, Varied Sittella, Little Lorikeet and Turquoise Parrot. The Pilliga forests also protect a particularly important population of the iconic Barking Owl. The Pilliga forests are also home to a suite of threatened mammals, including the Koala, Squirrel Glider, Black-striped Wallaby, Corben’s Long-eared Bat and the endemic Pilliga Mouse. The threatened Pale-headed Snake is also likely to occur in the Pilliga project area. In common with most Australian woodlands, the Pilliga project area and the broader Pilliga forests have lost almost their entire suite of small to medium-sized mammals, primarily through predation by feral cats and foxes. AWC plans to reintroduce at least six species of threatened mammals to a large feral predator-free fenced area. Most of the species to be reintroduced have not been found in NSW national parks for over a century, and will help restore a number of important ecological processes – dispersing seeds and spores, and helping retain nutrients and water. 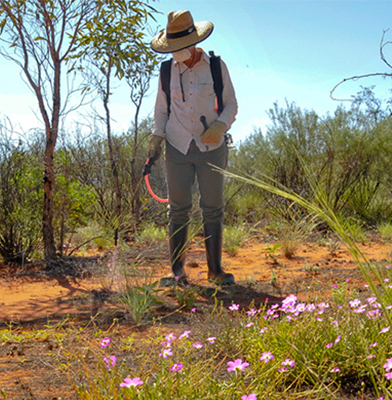 Across the 35,632 hectares Pilliga project area, AWC is implementing a landscape-scale feral animal control program, combined with intensive weed control. In collaboration with the NPWS, we are also delivering effective fire management to restore key habitat types, and encourage a mosaic of burnt and unburnt vegetation across the area. The research effort by AWC informs ecological fire management practices and response to wildlife for the Pilliga Service Site. 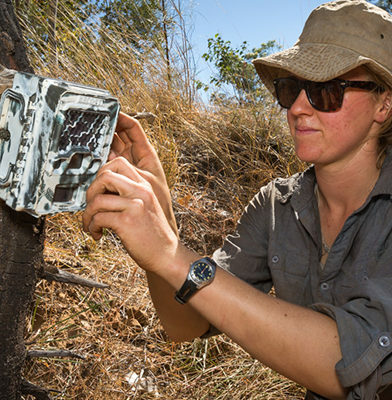 Track the populations of reintroduced mammals such as Bilbies, Brush-tailed Bettongs and Bridled Nailtail Wallabies. We will measure key biodiversity metrics including the abundance of threatened and iconic species still extant in the Pilliga (Barking Owl, Koala, and threatened woodland birds). Quantify the benefits to native species through the control of feral predators. 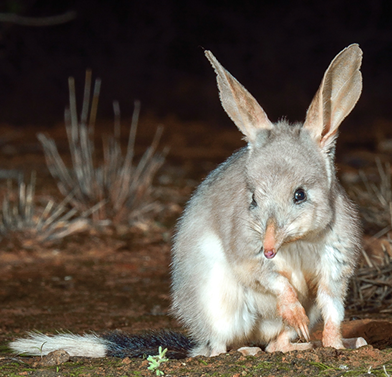 AWC released the first Bilbies into the predator-free area in December 2018, and the last record of Bilbies in NSW was near Wagga Wagga in 1912. The source population for this initial translocation came from Scotia Wildlife Sanctuary in far western New South Wales where AWC has re-established a wild population within an 8,000 hectare, feral predator-free area. It was a complex translocation effort, and involved catching the Bilbies at Scotia, transporting them on a chartered flight to Narrabri where air-conditioned vehicles were waiting, fitting them with GPS-enabled radio transmitters, and releasing them after dark into The Pilliga. Conservation fences are currently the only effective strategy for protecting Bilbies and other small to medium-sized native mammals from extinction through predation by cats and foxes,. 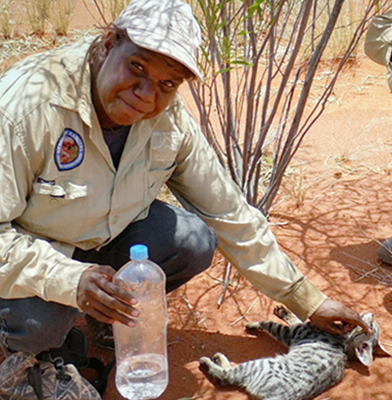 The predator-free area in the Pilliga was constructed over four months in early 2018, and then feral predators were eradicated from within the fence. It is an historic project in cooperation with NSW National Parks, and it is anticipated that in a few years’ time the Pilliga will support a population of 850 Bilbies. The Bridled Nailtail Wallaby was believed to be extinct for much of the 20th century, until the chance discovery of a surviving population in 1973. Small mammals in NSW and across Australia are under threat due to predation from feral cats and foxes. Combined with extensive habitat loss, this has meant that many species have gone extinct in large areas of their former range. Until there is a landscape-scale solution to managing feral predators, fences are the only effective strategy for protecting small to medium-sized native mammals from extinction. 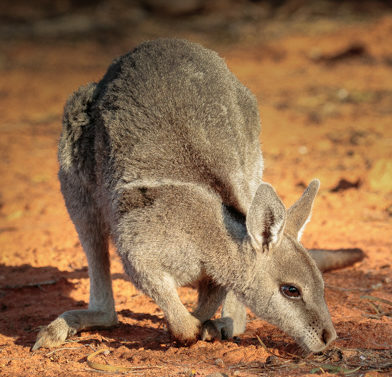 The ground-breaking predator-free area constructed in the Pilliga is a vital first step in saving a suite of Australia’s most iconic mammals.